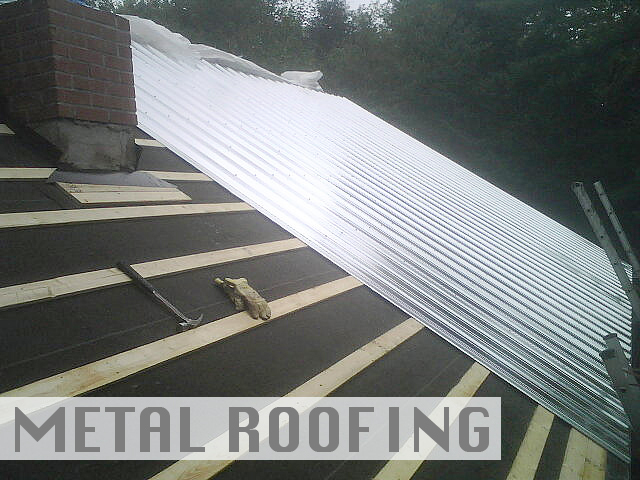 Metal roofing has become increasingly popular. As the price of asphalt continues to ride, the price of metal remains the same. Not only is the price steady, but also the metal roofing offers homeowners an assured quality. Homeowners trust metal roofing due to its longevity. Metal roofing holds a life span of 50 years and longer; backed by a 35yr warranty on everything down to the paint. It protects against mold, mildew and discoloration, which dramatically increases home value. Not only are you saving money on decreased roofing repairs, but also on it’s energy efficiency. Standing seam metal is energy-star rated and qualifies for a $500 Energy Star Tax Credit. Depending on your area, you may be vulnerable to strong weather. Metal roofing is insusceptible to strong rainfall and ice that could weaken traditional roofing. In coastal areas these roofs also offer coverage of wind speeds up to 140 MPH. Metal roofing offers more protection with its fireproof characteristics.